I am the first to admit that tasks sometimes take me longer than that should. That’s because there are so many attractive ways to get distracted these days! However, what I know to be true is that both my productivity and happiness depend upon me practicing presence. I know I’m not alone in wanting to feel focused and practice presence. Especially as the holiday season approaches. I want to find the space of wonder in snow flurries and dive into how nourishing every day life truly feels. I want to think about the ways in which I am immensely grateful for both the blessings and challenges in my world. Oh, but the siren call of Facebook, and the news, and research on ancestors, and the list continues. One moment I start to do some research, and then down the rabbit hole of research I go! What I know for a fact, though, is that I am happier when I practice presence. That I am more connected to my own life when I take deliberate action. Managing my time invites me to feel more content. Mindfully reading a book or writing in my journal makes me feel a deeper joy than spending the same amount of time just clicking around. I know that, though I need an electronic calendar to manage client appointments and some task reminders, I tend to accomplish more when I keep a to-do list with pen and paper. From a scientific and psychological perspective, presence allows a person to live a more fulfilled life. I know that a more active presence and awareness of my actions and the way I spend time will pay off with an even deeper level of loving that life. And, darling, as I said: I know that I’m not alone in wanting to be more focused on the now rather than losing time and productivity on a daily basis. Despite having this often, I know that I can create a life that is even more deeply satisfying. I would love to tell you that I have THE magical answer to better managing life when there are just so many distractions within reach. What I do have, though, is a little toolbox of ways to practice presence so that it becomes the norm rather than the exception, or worse, the fleeting wish. Here are seventeen ways to practice presence. Now, none of these tools is a magic fix. What I suggest is to try each of them out. And mix and match the ones that really work for you. Because presence will allow you to love your life so much more. Having a gratitude practice has been scientifically shown to retrain your thoughts from going to the negative to shifting to the positive. Keeping a written gratitude journal allows you to build on this concept while forcing you to be in the thick of your own life. Moreover, putting pen to paper access a different area of your brain, so you’re infusing magic with your mindfulness. A little web surfing never hurt anyone. And, there is value in connecting digitally with folks. The trick is to not begin mindlessly clicking and wasting time, right? So, set a timer to ensure that your time online is spent in a mindful way. The trick to this working for you in the long-run is something I’m experimenting with: deciding ahead of time how long is “enough”. I’m giving myself four hour-long blocks scattered throughout the day to do any task that requires internet connection (including any work tasks). It’s forcing me to be mindful, that’s for sure! And, if your business demands and online presence, combine that timer with some tools to help you manage social media (I’m using Social Pilot). Did you know that our subconscious is always working – especially when you are sleeping? Before you go to bed, invite your subconscious to explore a topic. You can focus on the the best moment of your day, or consider a decision you’ve been trying to make. When you wake in the morning, spend five minutes doing a brain download to see what your subconscious turned up for you! If letting your subconscious do the work sounds appealing, but you don’t want it to work on problems (and solutions), experiment with a nightly seeding of your dreams. Keep a journal or stack of 3×5 cards by your nightstand and before you turn off the light, write down at least three things you’re grateful for that night. It’s seeding your dreams to be supportive and positive. If you want to be scientific, you can add notes in your journal each morning about your dreams or how you feel when you wake to show you that seeding your dreams allows more presence and awareness. Spend the first few waking moments in active presence. Practice loving awareness by noticing how you feel in your body – stretching your toes and fingers. Take several deep, slow breaths. Snuggle into your partner. You can think about the many ways you are loved and feel worthy and valuable. focus your thoughts on what’s working in your life. Multiple studies show that mediation lowers blood pressure, blood sugar, and brings you presence. You don’t need a special pillow or fancy incense to benefit from mediation. All you need is a quiet, comfortable space, and a few minutes of uninterrupted time. Set your phone to ‘do not disturb,’ close your eyes, and sit quietly with yourself for at least 10 minutes. Capturing a moment with a photograph is all about presence. Take advantage of that handy smart phone and an app like Instagram to invite yourself into your own life. Choose a topic for a month – or a set number of days and commit to exploring that topic through photos. You can also commit to photographing a particular place in your home on Mondays or something along those lines. You can also find community with a photo practice with communities like “#tinytinymoments” or “#DecemberReflections”. I haven’t yet settled on my focus yet, but I’m committing to a new photo practice for 2019. Every evening after work, JB and I sit down together, share a glass of wine, and talk about the day. We talk about the challenges and explore the victories and highlights. Celebrating and connecting with each other at the end of the day is a holy moment of presence. The bonus, is saying the words aloud. You can do this over dinner or breakfast, in person or via text or phone, with your spouse or partner, your (adult) children, or even a close friend. The Gottman Institute found that couples who share negative interactions are more likely to divorce early. What’s worse is that we are more likely to believe criticism over compliments, which destroys our confidence. Spending a few moments shifting your attention to what people do right (including yourself) allows you to practice presence as well as train your attention for acceptance and compassion. Seeking the good in others – and yourself- will always pull you into active presence. Put a big jar (or bowl) in the kitchen with a sign that says “Joy Jar”. Invite your family to write about their joys and gratitude on slips of paper and toss them in the jar all month. Read them together on Christmas or New Year’s. The act of writing about the good things in life will pull you into the present moment, of course. Then, you double up on the gratitude and love by sharing together. I read a beautiful little book a few years ago where a man decided to change his life by saying thank you. For a year, he wrote a daily thank you note. Now, you may not want to invest a year in writing thank you notes, but what if you committed to weekly hand writing a note to someone? Brainstorm a list of loved ones, friends, and acquaintances and create a weekly ritual of writing some sort of correspondence: a card, a letter, a thank you note, or a funny story. Putting pen to paper and letting someone know you are thinking of them can’t help but invite presence into your life. I have a regular correspondence practice with a girlfriend already, but deep down I know I am needing more. So, I purchased some new stationary from an Etsy Shop and am committing to writing a note a week to someone in 2019. 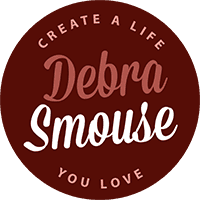 (Drop me an email – debraATdebrasmouse.com – if you want to be added to my list). One of the most powerful practices I have created is to deepen my prayer life. I slip in and out of this depending upon what’s happening in my world. It was certainly a saving grace right before (and after) my father died. During that time I expanded my current prayer time to a written prayer practice. It combined my need to see words flow onto the page to the act of giving what was out of my control up to God. It also gave me a space to go back to when prayers were clearly answered. It’s a practice I am resurrecting this week. We all manage dozens of household tasks in a day. Choose one task you accomplish regularly to be fully present. Maybe it’s showering in the morning, focusing on loving your body as you lather up. Maybe it’s washing the breakfast dishes. Perhaps you can transform a disliked chore – like folding clothes or unloading the dishwasher – into one steeped in gratitude and presence. Being in nature will invariably give you mood a boost. Pay attention to the shifting of the light, the way the wind ruffles the grass, and the sweet call of the birds. Active presence while out in nature gives you a serotonin boost and the bonus of better mood. A series of studies published in the June 2010 issue of the Journal of Environmental Psychology found that being out in nature made people feel more energetic after spending time in natural sightings. Feeling more energetic allows you to be more focused. The lighting of a candle is like a little prayer. There is magic in the flicker of a candle. Buy a candle that smells amazing to you. As you light it, pay attention to the sound of striking the match, the way the wick catches and begins to flicker, and the way the wax begins to soften and melt. I use candles as a regular part of my spiritual practice, saying a prayer for a particular person, intention, or gratitude. Just a gaze at the flame let’s the love for that person, my desires, or just the blessings wash over me. Just like our bodies need nourishment, so do our minds (and souls). 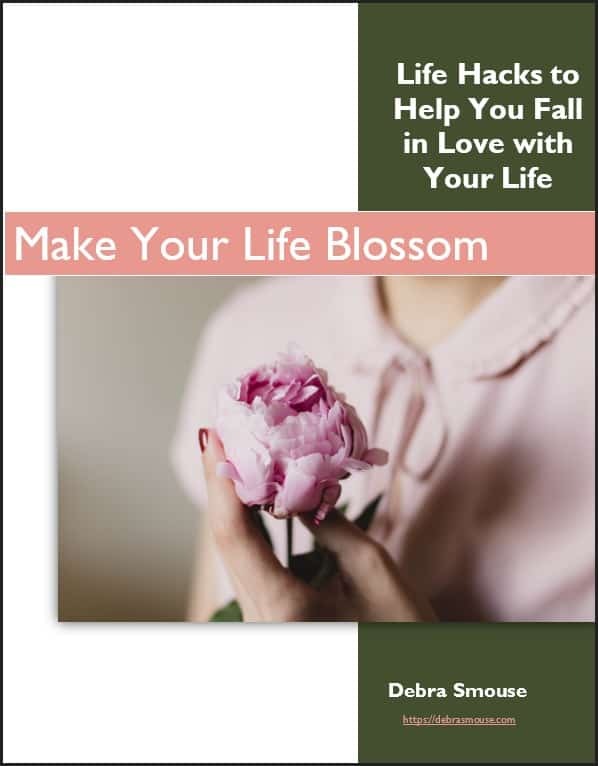 Commit to nourishing your mind with good books, thoughtful essays, and delightful poetry. Choose The Bible or a Spirit focused book. Sit and read the coursework for that online class you signed up for (and if you’re distracted by the internet, print out your lessons!) No news or social media allowed! I find I’m at my best (and more present the rest of the day) when I spend a solid thirty minutes in the morning reading and then journaling about what I’ve read and what it provokes me to think about in my own life. Actively choosing to fuel your mind with positive fodder helps bring your life into focus. 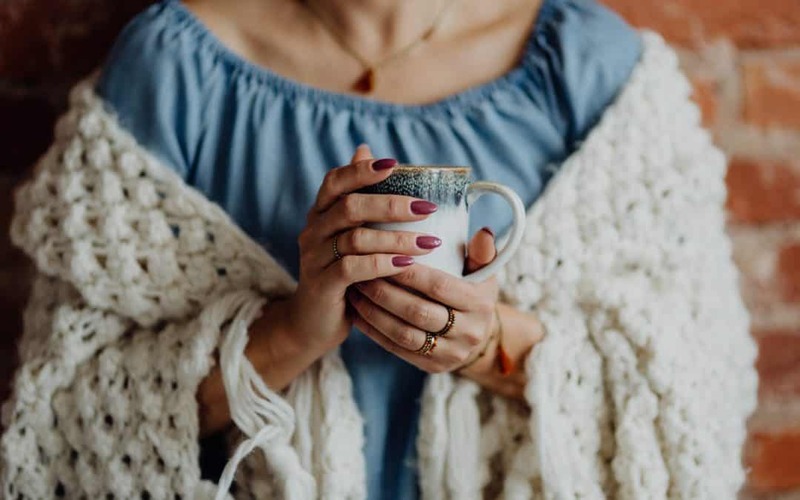 As Malcom Forbes wrote, “presence is more than just being there.” Rather, it’s an active appreciation of everything you do, a mindful engagement with your life and your world. By practicing presence, by making careful choices, and taking time to appreciate the small moments of every-day living, you’ll live more purposefully. You deserve to cultivate a daily life that feels nourishing and loving. None of these tools are an instant fix, of course, but an invitation to burrow more deeply into your own world. Presence will put you on the path to deeper joy and being reminded that you – and your life – truly matter. Seeking presence during this time of distraction? Are you seeking a way to nourishing your mind? 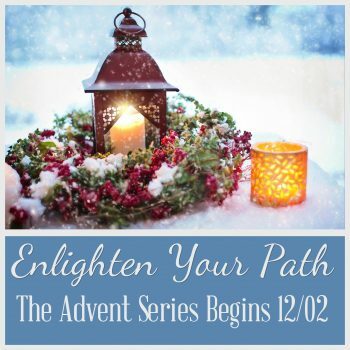 Consider signing up for The Advent Series. Want more details? Click Here to learn more about The Advent Series.